Let’s get a head start on Thanksgiving! The holiday is much more enjoyable if we’re not doing everything the day of. 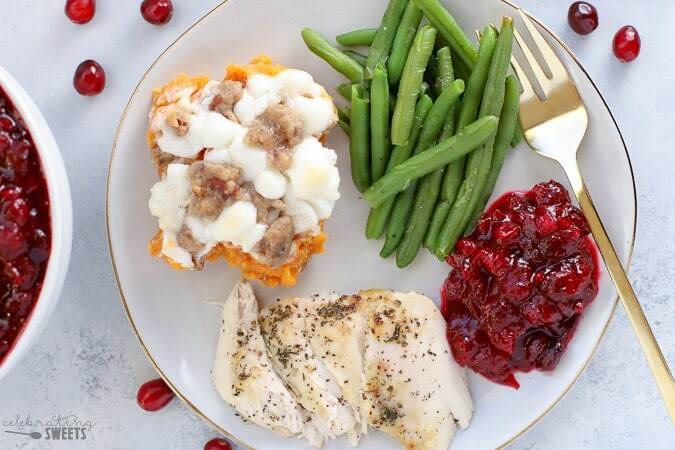 Some dishes are just as tasty when made in advance… like cranberry sauce! I’ve already made it and stuck it in the freezer, and it’s waiting to be defrosted for the big day. 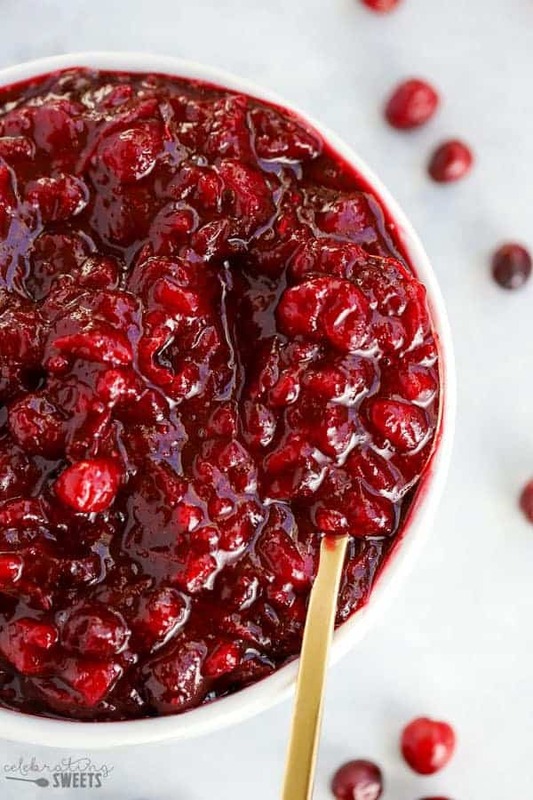 Have you made homemade Cranberry Sauce before? It’s unbelievably easy. 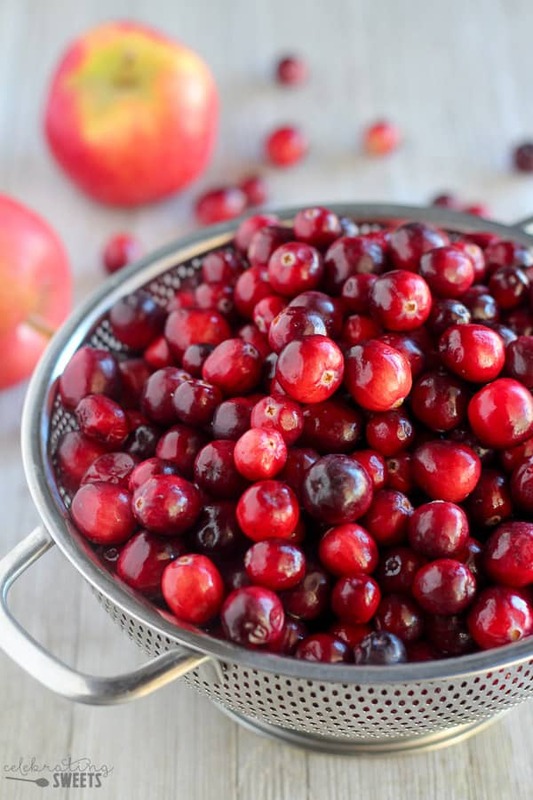 Making your own cranberry sauce allows you to control the quality of ingredients, the flavor and the sugar content. 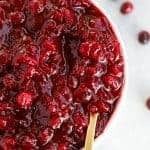 This here is the best Cranberry Sauce recipe I have ever made. I come back to it year after year. 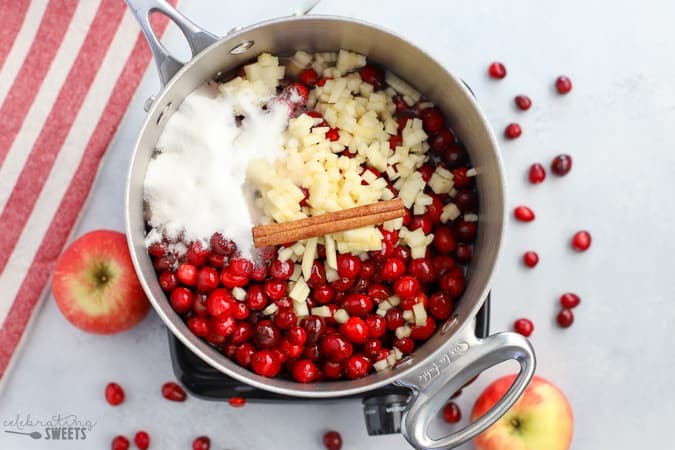 You will LOVE the combination of tart cranberries and sweet apple cider. Combine the ingredients and simmer on the stovetop for 10-15 minutes. 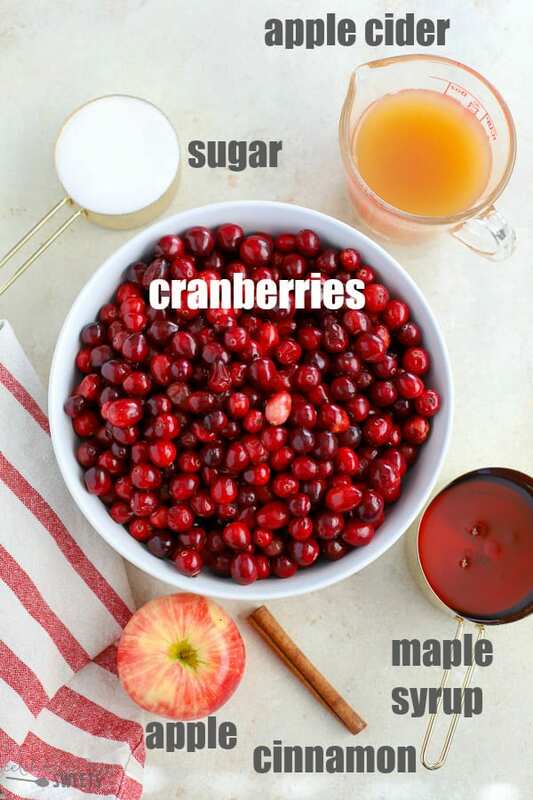 Allow most of the cranberries to burst, with some still left whole. Taste the sauce as it’s cooking and adjust the sweetness to suit your taste. Note: The sauce will thicken as it cools, so don’t be alarmed if it seems a little thin. Cool the cranberry sauce and it is ready to serve! This cranberry sauce is mildly sweet and a bit tart. The chopped apple and fresh apple cider impart a delicious hint of apple flavor. YES! I always make my Cranberry Sauce in advance of the holidays. It freezes beautifully, and no one will know that it isn’t freshly made. Once completely cool, place the cranberry sauce in a freezer safe container and freeze for up to two months. I typically thaw it in the fridge over a day or two. 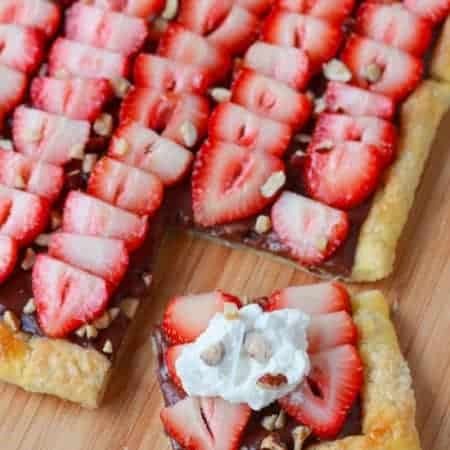 Use this recipe as a base and make it suit your tastes. You can sweeten it more, throw in some orange zest, increase the cinnamon, even stir in some chopped pecans. Whatever you like! 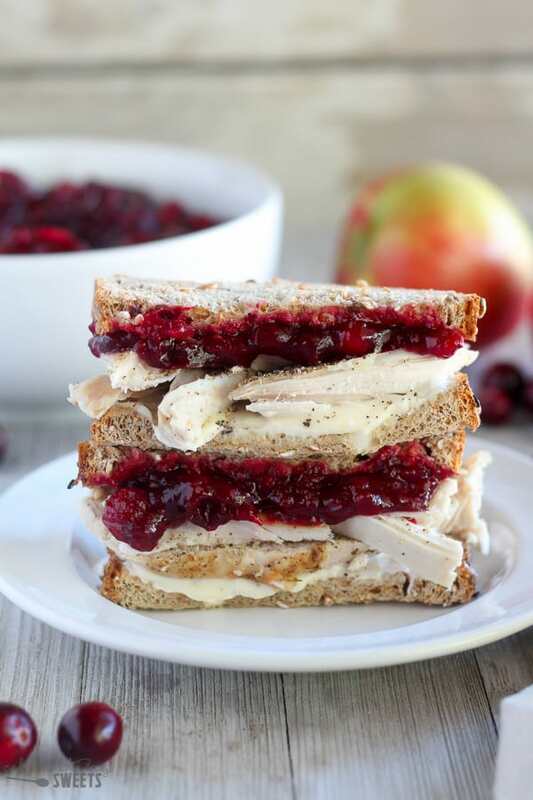 Easy homemade cranberry sauce flavored with fresh apple, apple cider and maple syrup. Lightly spiced, mildly sweet and slightly tart, this is the perfect side dish for your Thanksgiving table. Place all ingredients in a saucepan and bring to a simmer. Simmer, stirring occasionally, for 10-15 minutes, until the sauce has thickened and the apples are tender. 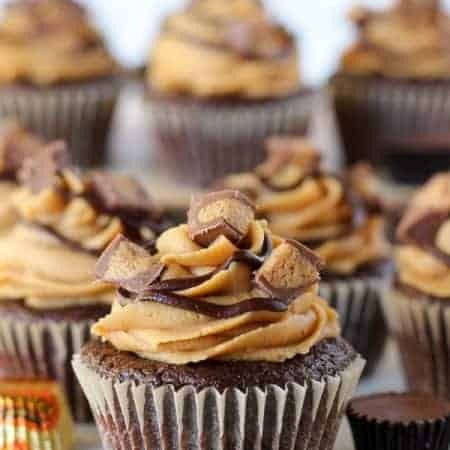 Taste it, if you'd like it sweeter add more sugar or maple syrup and cook a little longer. Remove the cinnamon stick. 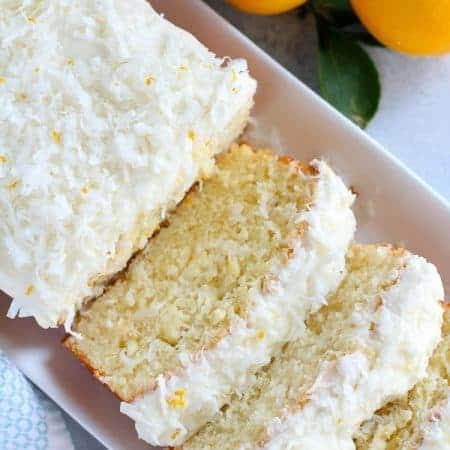 Cool slightly, then refrigerate. Once chilled the sauce will thicken up. If you'd like it thinner you can stir in additional apple cider (I usually add a couple tablespoons) to thin it out and increase the cider flavor. Sauce can be frozen for up to 2 months. Thaw in the refrigerator. This sounds sooo good. But I’d like to can in a water bath. Do you have any insight on this process? Hi, Norma. I have never canned before, so I don’t have any insight on that. I have frozen this sauce successfully for up to 1 month. Enjoy!